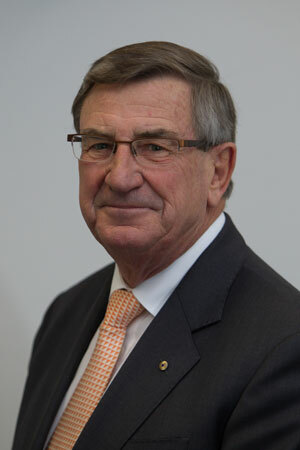 As well as Chairman of Huawei Technologies (Australia), John is Chairman of the Victorian Veterans Council and a member of the Victorian Government’s Defence Council. In a voluntary capacity he is a member of the Anzac Commemoration Committee, a Trustee of the Defence Bank Foundation and Patron of the Darwin Defenders 1942-45 Melbourne. Previously he has been a Director of the Victorian Metropolitan Fire & Emergency Services Board, Director and Chairman of DMS Maritime Systems, Chief Executive and Director of the Marine Board of Victoria, and a member of the Australian Maritime Group. John was an Executive Director of P&O Maritime Services responsible for operations and government business worldwide. He served with the Royal Australian Navy for over 36 years with two major warship commands, saw active service in Vietnam, and retired with the rank of Rear Admiral.